Not so long ago, earning a living was something that involved, for nearly everyone, leaving the house and getting a job. For mothers who wanted to build their days around their children’s needs, the opportunities were especially limited. The internet has changed all that. 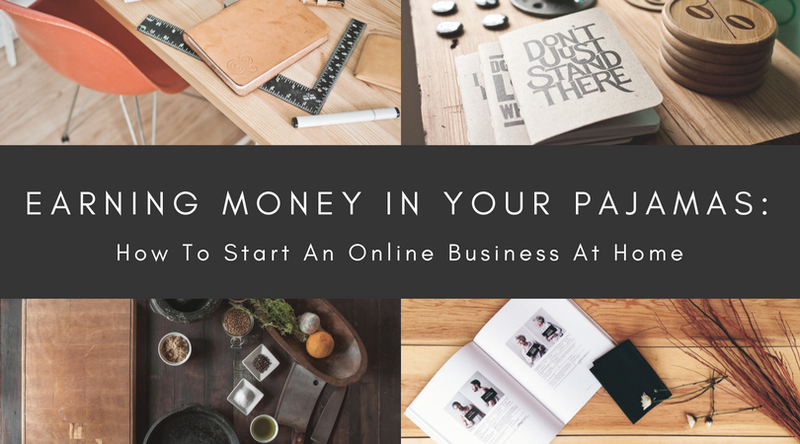 Now there is an ever-growing field for people working from home to sell their services and to create a business as big or as small as they choose. Anyone who has been hooked on Shark Tank will know how many pitfalls there are to starting up a successful business. Somehow people manage to go on making the same mistakes again and again. Perhaps the most common is to invest time and money in creating products or services that nobody wants. Discover a real need that nobody seems to be fulfilling. You can search online forums in areas that interest you to find out what problems people are looking for solutions to. Discover what other suppliers are offering, and think of a way to offer it better. Go to their websites and notice what they are lacking from a customer experience point of view. Grab attention with a catchy headline. Describe a problem that people will recognize. Explain how what you have to offer will solve the problem, with examples. Reading this through critically from a customer’s perspective will help you to assess whether anyone will want to pay for it. From the customer’s point of view, the most important thing about your website is that it is easy to use. Build something that is simple. Use not more than two fonts on a page. Keep your pages uncluttered. Use audio and video only if they are relevant to your message. There are plenty of self-service website design apps that you can use to create your own simple site. From your point of view, the most important thing is that visitors to your site take note of and remember your product or service. The appearance of the site needs to be distinctive and to reflect your style. It is worth thinking about the sort of customer your want to attract and design your site around the colors and layout that will appeal most. A very good idea is to think about a logo that will sum up your business—you can explore this by visiting this logo maker and getting a feel for the requirements of a good logo. The nature of the online business you start will depend on your own skills and interest. Sell something that you know you are good at or experienced in, generally using skills that you have developed in a professional capacity or hobbies that you have practiced over a period of years. Retailer. If there is an area that you love, like pets or crafts, think about becoming a niche supplier of products. The fact that you are specialist will attract customers to your site. You will need to use a web-hosting service and a checkout facility. If holding stock is a problem you might be able to arrange with your suppliers to send goods directly to customers. Or you could sell your own handmade items. Consultant. There are many fields in which you can use your experience to benefit other businesses. For instance, if you know your way around social media, you could offer your expertise to businesses which want to establish a presence there. If you have knowledge of website design, you can help others to get the most from the internet. Technical Support. Most small companies do not have an IT department. With the right skills, you could assist with IT problems remotely. Bookkeeping can also be farmed out online to home workers with relevant experience. The same goes for letter-writing and task management. Earning money at home through online work is an attractive idea for those who need to control their own working hours. But it is not an easy way to riches. Like any work, if you are going to make a success of it, you will need to get out of your pajamas and treat each working day as a commitment to quality and results.